SolidTech Variations is Luxury Vinyl flooring and part of a new generation of waterproof LVT from Mohawk. The flooring has a thick, rigid construction that is 50% denser than average composite core flooring. For easy installation SolidTech LVT floors have Uniclic MultiFit technology that makes installation a snap. 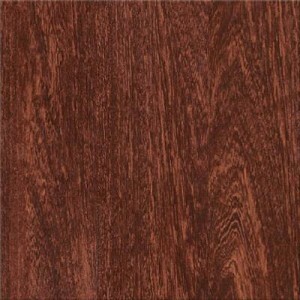 SolidTech Variations LVT, is a product Mohawk deems to be superior to other water proof core (WPC) flooring products. Mohawk states that it “has identified all of the major issues with WPC products that are out in the marketplace such as not so true claims on being waterproof, the impact of the sun naturally providing direct heat, indentations and telegraphing”. Mohawk said it has made corrections to all of these issues while still being able to feature high-style visual patterns and designs. SolidTech Variations LVT in Shadow Wood brings great looks and design to any room. Variations is a collection in the SolidTech line of flooring. 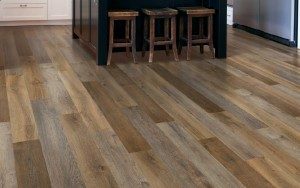 Mohawk SolidTech Variations Luxury Vinyl Plank sets a new standard for great flooring by mixing the strength and beautiful rich patterns of hardwood, with the durability and ease of clean of LVT or laminate. SolidTech Variations is completely water proof and unlike laminate and hardwood floors, can be wet mopped. SolidTech is also odor, scratch and dent resistant , making it a perfect choice with pets. Featuring the best in class Uniclic MultiFit locking mechanism, SolidTech is super easy to install for do-it-yourself and can be installed over many different types of subfloors, both on, above and below grade. The Variations Collection offers inspirational color selections and phenomenal designs that will work throughout the home. Variations is available in 7” x 49” plank size along with 6.5mm thickness. 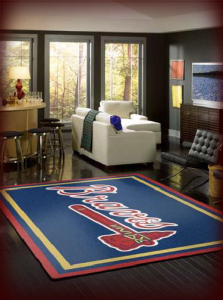 This is a revolutionary new class of hard surface flooring and American Carpet Wholesalers of Georgia is happy to feature it. SolidTech has Mohawk’s Warranty for flooring. That includes a limited 35 year residential warranty (8 year commercial). The Solidtech Variations flooring is for light to medium commercial and medium to heavy residential use. American Carpet Wholesalers of Georgia features Mohawk SolidTech LVT Variations in its online gallery of flooring products. Be sure to call the ACWG flooring experts when you find the floor you like. When you give the professional staff a call at (800) 548-2706 you will benefit. How? You will be sure to get the correct amount of flooring for your project AND your best pricing! Click here for more reviews of the Vinyl Plank & Tile products available at American Carpet Wholesalers or Click here to explore other styles of flooring.